Established in 1999 Opened in 1999 by Sergio Avila, the Huntington Beach restaurant sports a Baja Surf motif. It is always busy, located on the old Main Street in downtown “Surf City USA”. While growing up, the Avila boys used to hang-out in Huntington Beach after school to surf and they all still surf today. Daughters Maribel and Valerie now run the day-to-day operations of this very popular hang out! 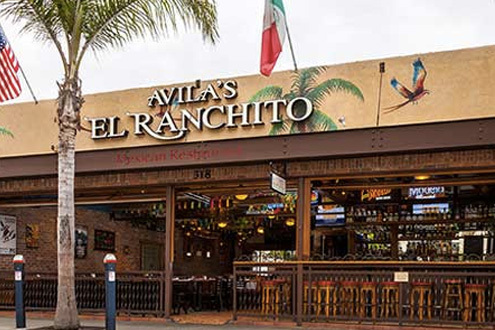 Sign up here for the Avila’s El Ranchito e-club and be the first to hear about specials and promotions. Selling $2.50 burritos and chingolingas from our booth outside!